How many millions would you risk for two minutes of glory and a chance to become one of the greatest of all time? It's a question the owners of American Pharoah currently face, and by all accounts the team is "all in." The owners of the Triple Crown winning horse announced American Pharoah will run one final time at the Breeders' Cup Classic. On the surface, it looks like an easy decision for horse owner Ahmed Zayat. The $5 million event is a one of the sport's largest purses; the horse has lost a handful of times in its career and would be the overwhelming favorite. It looks like easy money. Upon peeling back all the layers, the choice becomes far more complex. 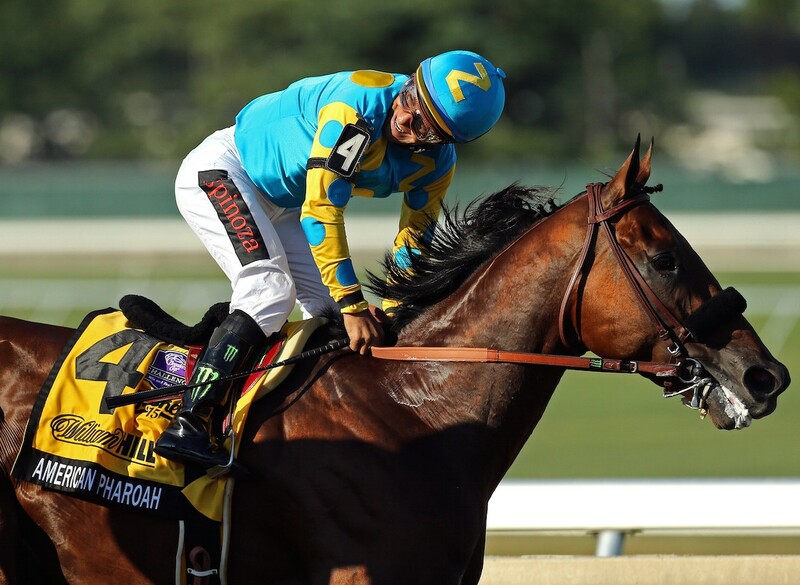 While American Pharoah won the Triple Crown, he unexpectedly lost his last race. In the heat of the moment, many called for the horse to be retired. Why retire a horse that won the Triple Crown just a few months earlier? There are two very different reasons. If the horse is injured, further damage could be life threatening. In 2006, Barbaro easily won the Kentucky Derby, was injured in the Preakness and eventually died. It's a scary scenario, but one that must be considered (let's hope it never happens). The other issue is one of money. For many in the horse business, breeding fees pay the bills. The owners of American Pharaoh received tens of millions to sell the horse's breeding rights, according to numerous reports. That company, Ashford Stud, can buy insurance in case of a tragedy, but it's not cheap. Add the purchasing fees of horses sired by American Pharoah and it's easy to see why someone would retire the horse 10 minutes ago. This case and question go far beyond the horse; it transcends the entire sport of horse racing. Ratings went through the roof when American Pharoah became the first horse in nearly four decades to win the Triple Crown. Live gate attendance also skyrocketed, along with interest in a sport that has seen its market share erode in recent years. From a sporting perspective, there's no doubt that American Pharoah racing one final time would generate millions in interest, which in turn could create new fans of the sport. It's a generational opportunity 37 years in the making. The sport could use the shot in the arm. But if the horse were to lose, or worse, how long would it take to recover? Could it recover? There is no right or wrong answer on what the owners of American Pharoah should do. Let's hope for everyone's sake the event ends safely and one of the greatest horses or our lifetime can ride off into retirement in style. Two minutes will have rarely felt so long. Dan Farkas is a freelance writer and former sports anchor who spends his time working on various projects in the print, digital, audio and visual space. He also tries to corral two kids under the age of four and really wants to run a marathon someday. Follow him on Google+.